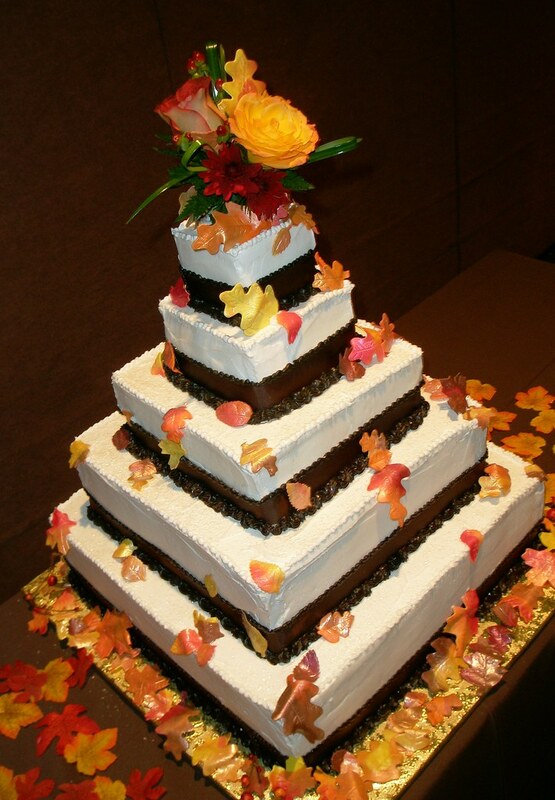 Seasons are a great basis from which to build the look and theme of your wedding. Color motifs may depend on the hues and shades popular during the time of year when your wedding happens. For example, bright or pastel colors may be used for spring or summer weddings. White and silver go well for winter weddings. For autumn, an ideal color motif would be brown and orange. Echoing the transition of nature from vibrant greens, pinks, and yellows to deeper burnt shades, these colors lend an elegant yet warm and fun character to your wedding. This combination is great for rustic weddings but it can also be used for whatever theme you have in mind. Invitations and save-the-dates – Use white card stock with brown edges and adorn it with an orange ribbon. Or you can use brown card stock and apply orange details on the sides and corners of the invite. If your wedding falls within the autumn season, embellish your stationery with dried leaves or flowers. Wardrobe – Bridesmaids can wear an orange-colored dress accentuated with a brown sash. Brides can wear shoes that go with the color motif, or even wear brown boots for the ceremony. Flowers – Mix chocolate cosmos or brown gerbera daisies with orange and bronze roses for the bouquet or table centerpiece. If you want, you can put white or champagne-colored flowers in for added texture. 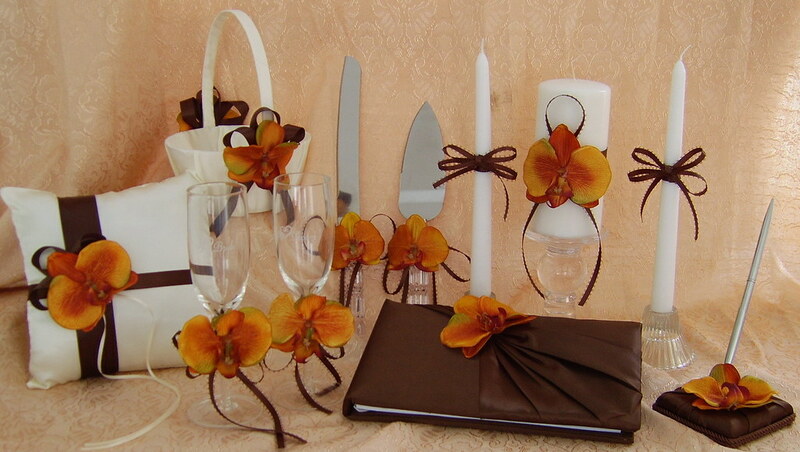 For the boutonniere, tie an orange calla lily and monkey tail together. 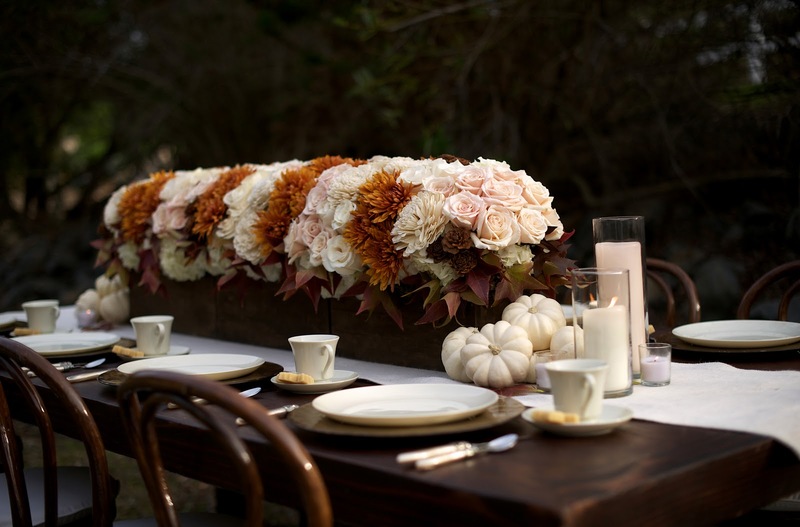 Tablescape – Pair the brown table cloths with orange table runners. For the centerpiece, put twigs with orange flowers or berries in a vase, or place a mason jar filled with orange gerberas amid scattered maple leaves. For unique name cards, write your guests’ names on brown paper shaped like leaves. Favors – Chocolates in an orange-trimmed box, candied apples, or a hot chocolate mix packed in jars and tied with orange ribbons make for great souvenirs that go with your wedding color motif.